As the favorite medium for Greek and Roman sculptors and architects, marble has become a cultural symbol of tradition and refined taste. 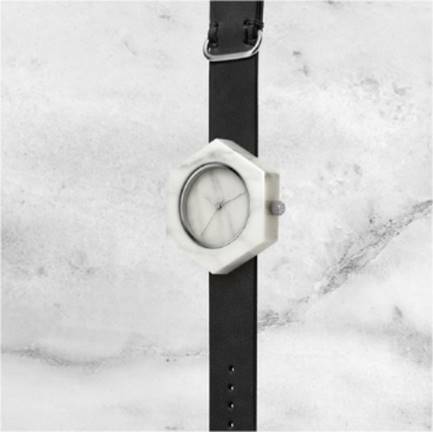 Analog’s Mason Watch was designed to be distinctive and minimal in form. This gender-neutral piece is meant to call to mind those experiences when we are close to nature, and to serve as a symbol of our connection to the environment in which we live. People have appreciated the remarkable properties of marble in art and architecture for centuries. We thought it was fitting to use it for our Mason Watch, which is in essence a sculpture for the wrist. To showcase the beauty of the all-natural material, we've kept branding to an absolute minimum. The delicate hands move effortlessly along an unmarked face, revealing the unique marble texture of each and every piece. 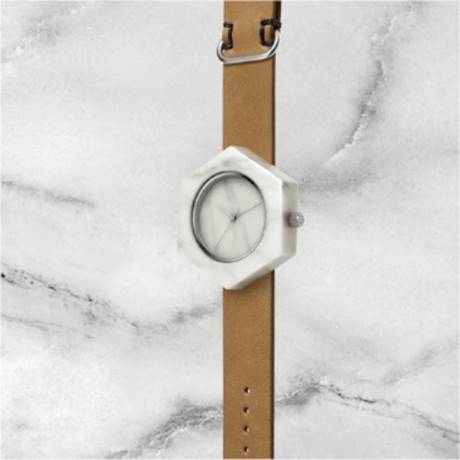 Tan or black top-grain leather strap made by hand in U.S.A.
As timeless and solid as marble itself, the Mason Watch is an elegant accent piece for those who value a piece that is both grounded in the natural world and a bold departure from the norm. 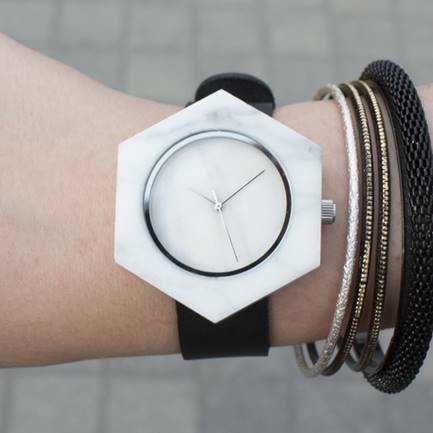 Learn about the Analog Watch Co. and their marble watches. By the way, they work with materials other than marble. Wait until you see their fabulous wood watches. 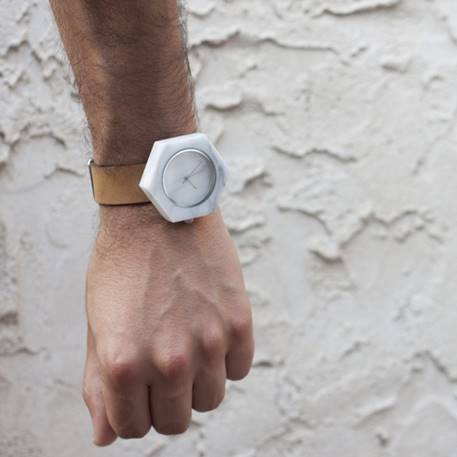 Their wood and stone watches are solidly built but are naturally 80% biodegradable. They use wood from off-cut lumber, genuine leather for the straps, and recyclable packaging.